Ball moss is among the more 'harmless' conditions that can befall a tree – because it isn't really harmful on its own, many tree owners will choose to leave it alone indefinitely. Left to grow for too long, it will quickly become a nuisance by taking away from the tree's appearance considerably. Left even longer, the moss can actually end up causing issues with the tree and will definitely make you wish you did away with it in a timely fashion. It might not feed from the tree itself, but that doesn't mean it can't end up harming it. Severe concentrations of ball moss – especially in the lower parts of the tree – can considerably impair the airflow that the tree receives. It's not just that it needs fresh air to survive – stale air will often be a breeding ground for bacteria and fungus, making it clear that ball moss needs to be removed promptly and preferably by professionals. In such cases of extreme clogging, ball moss can also prevent the lower parts of the tree from getting the sunlight required for sustenance. 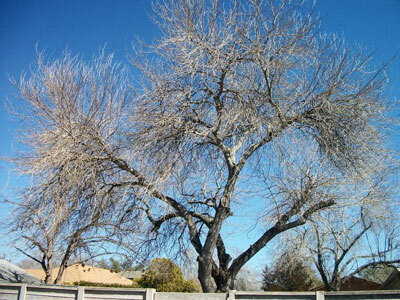 This can cause the branches to become sickly and more susceptible to infestation, which doesn't translate well to the rest of the tree. And what about ball moss that grows higher up on the tree? If you ever saw a particularly bad case of ball moss growth, you'll know that it can grow virtually anywhere including on inanimate objects with no nutrients to speak of. Therefore, ball moss can extend to fences, roofs and even utility lines, making it particularly dangerous to try and remove. If you're having issues with ball moss growing in the taller portions of the tree, never attempt to remove it on your own – people are prone to overestimating their ability to handle heights, and the results of such hubris tend to be devastating. Things get even more ill-advised with ball moss on utility lines – the electric currents running through these will give ball moss a deadly advantage over you. ​Removing any amount of ball moss that's higher than a couple of feet up should always be done by professionals who know how to handle the situation – this stands doubly true for ball moss on utility lines and in similar high-risk areas. Getting seriously injured during a routine form of tree maintenance probably isn't your idea of a good time, so give us a call – we'll get rid of the ball moss and we'll also check the tree for any other issues while there. In fact, we're often able to alert property owners about a serious issue with the tree while performing routine ball moss removal. 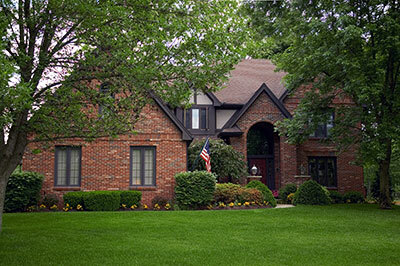 Of course, don't call us just to remove ball moss that's seriously overgrown or one that's in a dangerous area – wanting the best for your trees no matter what is reason enough to have Above All Tree Service handle even a minor task like ball moss removal.